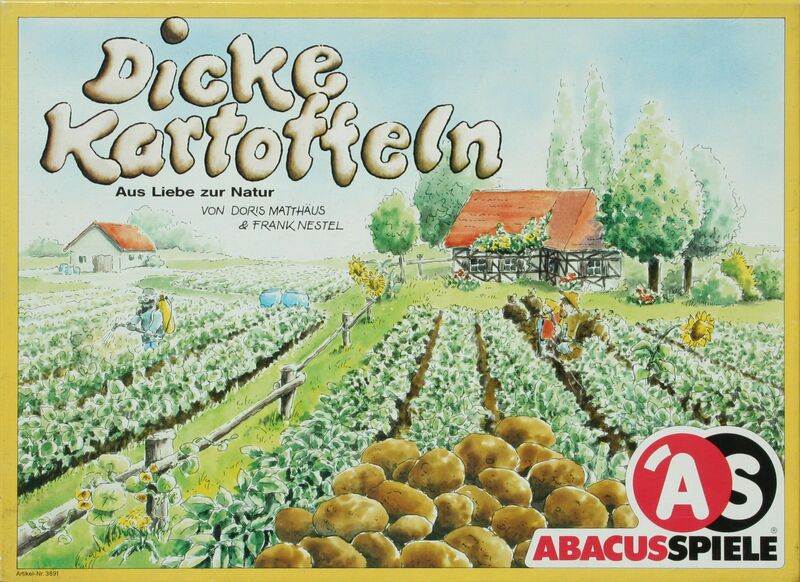 You may not expect much from a game about potato farming, but there's quite a lot to this one. Each player owns a farm of five fields, and over the course of several years must deal with such issues as crop rotation, market watching, over-fertilization, insects, weather, and more. As the game winds to a close, the winner will be the player with healthiest fields as well as the greatest profits. Note: The first edition of the game is for 2-4 players (later editions are for 2-6). 4th Place 1989 Hippodice Spieleautorenwettbewerb.